Bistro Bar Med opened their doors to the Food and Drink sector in December 2005 by Gino and Lisa. Over the last 10 years Bistro Bar Med’s reputation and customers has grown rapidly, the last ten consecutive years they have gained 5 Star Excellence Awards from the Sefton Council’ s “Scores on the Doors" Scheme. The last 5 consecutive years 2011, 2012, 2013, 2014 and 2015. 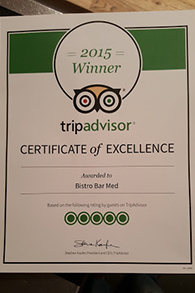 Bistro Bar Med has been voted No:1 Best Restaurant in Southport by a well known customer review website Tripadvisor. 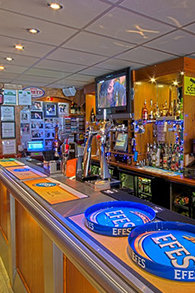 Bistro Bar Med offers a wide range of mouthwatering food speciailties, from freshly prepared Turkish and Greek dips & mezes to freshly cooked Spanish Tapas and Mediterranean dishes. Gino’s unique Sangria and Cocktails are the best finish to a great night. All available Tuesday-Sunday. Set in warm, authentic and rustic surroundings makes you feel like your on a Mediterranean holiday. Unique hand painted murals from the Meds gives an extra touch. Bistro Bar Med always aims for the highest standards, great value for money, fresh produce and excellent customer service. Themed Nights are not to be missed, Turkish Night with Live Belly Dance show , Soul & Motown, Rock & Roll and Elvis & Beatles Nights are some of the examples of their entertainment. 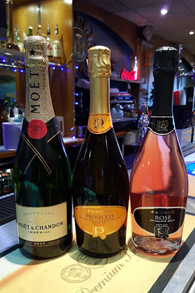 If you are living in or just about to visit Southport why don’t you pop down and give Bistro Bar Med a try and join the rest of the hundreds of satisfied customers. Hope to see you soon! 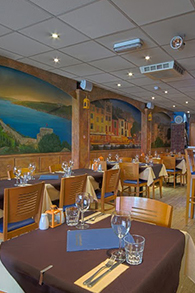 Set in warm, welcoming unique surroundings, serving Spanish, Turkish and Greek Tapas / Mezzes. Recommended on Trip Advisor - Certificate of Excellence - 5 stars - click above image to view our reviews! !